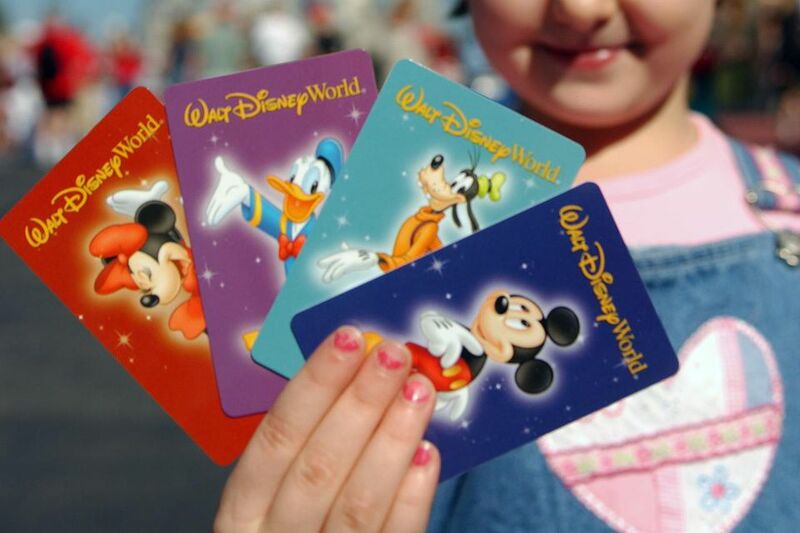 In 2005, Disney World announced a new ticket plan called "Magic Your Way" allowing guests to create their own ticket. Base-priced Magic Your Way tickets are tailored to length of stay and interests, with add-on options available. Multi-day tickets save money by reducing the cost-per-day of admission to Disney World's theme parks, while options add additional costs to each ticket. Base Ticket - Admits guest to one theme park per day's use. Park choices are: Magic Kingdom, Epcot, Disney's Hollywood Studios, Disney's Animal Kingdom. One-Day - Valid for admission to one park only – Magic Kingdom, Epcot, Disney's Hollywood Studios, or Disney's Animal Kingdom. The one-day ticket does not allow park-hopping or use of the Disney transportation system. Park Hopper - This option added to your ticket can be used at all theme parks – Magic Kingdom, Epcot, Disney's Hollywood Studios, or Disney's Animal Kingdom – on the same day and also includes use of the Disney transportation system. It is available for all tickets, whether you buy a one-day or a 10-day ticket. Add $50 to each 1-2 or 3-day ticket for this option, $58 for 1-day non-Magic Kingdom or $64 for all other ticket options. Water Park Fun & More - This option entitles guest to a specified number of visits (between 3 and 6) to a choice of entertainment and recreation venues. Choices are Disney's Blizzard Beach and Disney's Typhoon Lagoon water parks, DisneyQuest, Pleasure Island, Disney's ESPN Wide World of Sports complex. Add $64 to each ticket for this option (or $72 for 1-day non-Magic Kingdom ticket). Disney continues to offer an option that combines both the Park Hopper and Water Park Fun & More options for a discounted price. Add $90 to each ticket for this option (or $98 for 1-day non-Magic Kingdom ticket). No Expiration - This option has been eliminated. Not all tickets are available at each location. Allow two to three weeks for delivery. There is a $3.00 handling fee. Allow at least three weeks for delivery. There is a $3.00 handling fee. Select multi-day theme park tickets are available at any Disney Store. Send a check or money order for the exact amount plus $3.00 for handling. Make checks payable to Walt Disney World Company. Allow three to four weeks for processing. Be sure to include a return address. Will my tickets expire? Remaining days on any multi-day tickets purchased after January 2, 2005 may be used during a future visit to Walt Disney World only if the "NO EXPIRATION" option is purchased. What does "non-transferrable" mean? A Magic Your Way multi-day ticket is linked directly to the guest that purchased it through a Ticket Tag System. This is actually the same technology used for season and annual pass holders. When a guest uses a ticket to enter a park they place their middle and index finger into the Ticket Tag device at the turnstile. Cameras measure and take an image of several points on those fingers. A number is assigned to that image, which is the information that links that guest to that ticket. So, whenever that guest uses that ticket and enters the park using the Ticket Tag System, that number will be recalled to allow them entrance. Only guests 10 years of age or older use the Ticket Tag System. If a guest uses a child pass with a no expiration date to enter the park and then comes back when they are of adult ticket age, they are asked to upgrade the ticket to an adult one — at no extra charge — and then they go through the Ticket Tag process as if they are using this ticket media for the first time. The Ticket Tag system also helps protect guests because only they can use that ticket. If it's lost or stolen, it's no good to another person. No actual fingerprints are taken by these cameras and there is no access to personal information through the Ticket Tag System. Because tickets are non-transferable, you cannot purchase a multi-day ticket expecting more than one family member to "share" the ticket on different days. What if I lose my ticket? If you lose your ticket and have the receipt, the ticket can easily be replaced. Or, if more than one ticket was purchased in the same transaction and someone else in that group still has their ticket, the ticket can be looked up and replaced. Is Disney's Park Hopper option worth the expense? Things to consider before adding "park hopping" to your ticket. Is Disney's Water Parks and More option worth buying? This option can save money on recreation at Disney World, but only if you use it. Consider these FAQs before adding this option to your ticket. What is a FastPass+? Disney's FastPass+ system allows guests to spend less time in line at popular attractions within Disney World's theme parks. Do I have to pay for a FastPass+? No. You do need a theme park admission ticket, but obtaining a FastPass+ does not cost more. Where do I get a FastPass+? FastPass+ kiosks are located nearby popular attractions — simply insert your theme park ticket in the machine and you'll be issued a FastPass+ to come back at a certain block of time to ride the attraction. >Read more about Disney's FastPass+. Valid proof of Florida residency is required per adult for purchase and use. Park Hopper option add $25.00; Water Park Fun & More add $32.00; or Park Hopper and Water Park & More add $57. Park Hopper option add $32.00; Water Park Fun & More add $32.00; or Park Hopper and Water Park & More add $64.00. *Florida Resident 4-day ticket and options expires six (6) months from first use or 12/14/2016, whichever comes first. Admission to all four theme parks - Magic Kingdom, Epcot, Disney's Hollywood Studios, and Disney's Animal Kingdom (except during events separately priced). Unlimited admission to more than one park on the same day. Use of Disney transportation system. Complimentary parking on Disney property. Admission to Disney's ESPN Wide World of Sports complex. Disney's Oak Trail golf course. A photo ID must be presented for purchase of either annual pass and may be required for future use of the pass. Passes are non-transferable. The pass expires one year (365 days) after it is purchased and the expired pass must be presented to receive a renewal discount. Florida residents receive special price (listed below). Free admission for children ages 3 and under. Florida Resident Platinum Plus Annual Pass Prices (Effective October 4, 2015) entitles Florida residents, Disney Vacation Club (DVC) members or tourists unlimited admission to Disney's Magic Kingdom, Epcot, Disney's Hollywood Studios, Disney's Animal Kingdom, Disney's water parks (Blizzard Beach and Typhoon Lagoon), Disney's Oak Trail Golf Course and ESPN Wide World of Sports Complex. This pass includes theme park parking, complimentary MagicBand, park hopping privileges and Disney PhotoPass (unlimited downloads). The pass expires 365 days after activation. Florida Resident Platinum Annual Pass Prices (Effective October 4, 2015) entitles Florida residents, Disney Vacation Club (DVC) members or tourists to unlimited admission to Disney's Magic Kingdom, Epcot, Disney's Hollywood Studios and Disney's Animal Kingdom except activities and events separately priced. This pass includes theme park parking, complimentary MagicBand, park hopping privileges and Disney PhotoPass (unlimited downloads). The pass expires 365 days after activation. Florida Resident Gold Pass (New October 4, 2015) entitles Florida residents or Disney Vacation Club (DVC) members admission to Magic Kingdom, Epcot, Disney's Hollywood Studios and Disney's Animal Kingdom except for "blockout" dates (around Christmas/New Years, Easter/Spring Break, and peak summer vacation periods. This pass includes theme park parking, complimentary MagicBand, park hopping privileges and Disney PhotoPass (unlimited downloads). The pass expires 365 days after activation. Florida Resident Silver (Seasonal) Pass Prices (Effective October 4, 2015) entitles Florida residents admission to Magic Kingdom, Epcot, Disney's Hollywood Studios and Disney's Animal Kingdom except for "blockout" dates around Christmas/New Years, Easter/Spring Break, and peak summer vacation periods. Pass includes theme park parking, complimentary MagicBand and park hopping privileges. The pass expires 365 days after activation, except events separately priced. Florida Resident Weekday Select Pass (Effective October 4, 2015) entitles Floirda residents to a year of weekday-only access to Magic Kingdom, Epcot, Disney's Hollywood Studios and Disney's Animal Kingdom Mondays through Fridays (block-out dates apply around Christmas/New Years, Easter/Spring Break and peak summer vacation period). This pass includes theme park parking, complimentary MagicBand and park hopping privileges. It also includes discounts on resorts, shopping, dining, recreation and tours. Florida Resident Epcot After 4 Annual Pass entitles residents to admission to Epcot any day after 4:00 p.m. for one year. Includes them park parking and complimentary MagicBand. Parking - Automobile $17.00 (tax included) per day; Camper/trailer $18.00 (tax included) per day.